News TV Channel / TVi was a Ukrainian TV channel that did broadcast from 2008 till March 2015, it was widely seen as Ukraine's only independent TV channel. It was known for its critical coverage of the Ukrainian government, particularly of President Viktor Yanukovych. Late April 2013 the channel changed ownership in a disputed takeover. 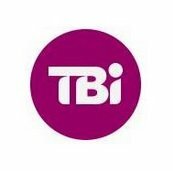 Early May 2013 the new management stated that they wanted to transform TVi into a mainstream TV channel (to be completed by September 2013). In March 2015 TVi stopped broadcasting because it had drained out its financial resources. In March 2016 its broadcast licence was revoked.